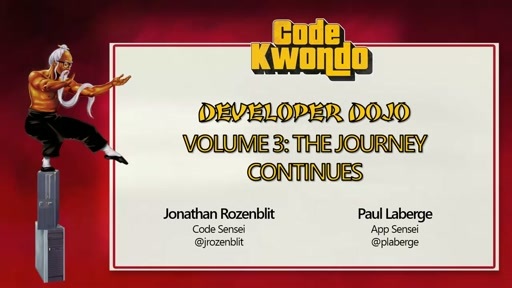 Just like the ancient art of taekwondo where students earn different belts on their way to becoming a black belt, the Developer Movement Dojos help you further your development skills and help you prepare to reach new mastery levels. Each level you successfully complete gets you closer to the ultimate goal – becoming an esteemed "Code Sensei." By now, if you're building apps for mobile platforms, you probably realize that the "amazing opportunity" to make money on the various app stores is a bit of a fallacy. True, you could be one of the lucky few that strikes gold on the first try but even the best publishers out there experience a LOT of failures before they hit the big time. All that said, there is a common ground between app publishers that have made mint with their app(s) – they know marketing. If you develop apps, you might be thinking of skipping this session ("great, more marketing fluff..."). If you go with that, you'll be missing out, though. 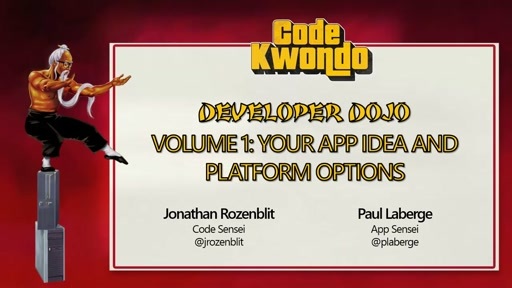 In this dojo, Sensei Paul Laberge joins Sensei Jonathan Rozenblit and walks through the types of marketing activities that get apps noticed regardless of which platform it's on. And downloaded. 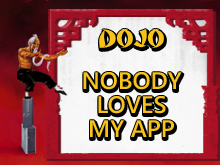 With the support of market data and actual app examples to back up the claims, they show you how to get your app beyond noticed and into the realm of volume downloads. So if you want to get your app noticed, make sure to watch all three volumes.